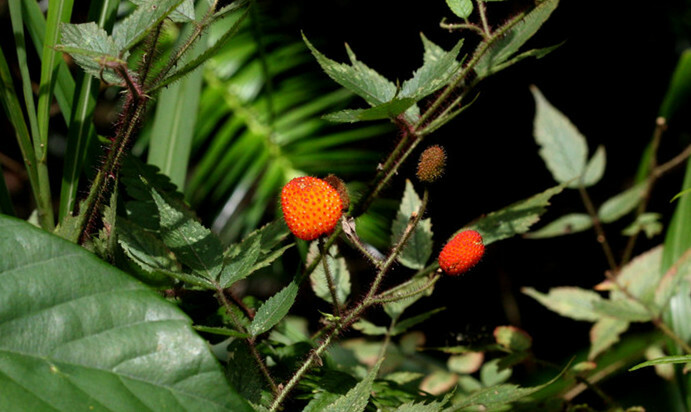 The drug is the dried or fresh root of Rubus sumatranus Miq. 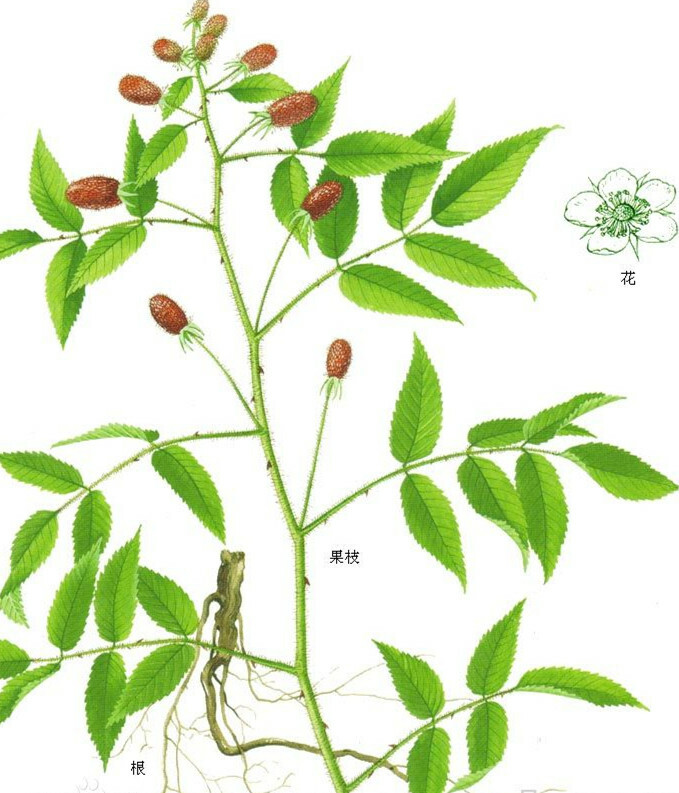 (Family Rosaceae), growing in forests, in grass lands, or along streams or ravines, and distributed in Anhui, Zhejiang, Jiangxi, Fujian, Taiwan, Hubei, Hunan, Guangdong, Guangxi, Guizhou, Sichuan and Yunnan of China. Bitter, cold; liver, kidney and stomach meridians entered. Clear heat and remove toxicity, stimulate appetite, induce diuresis. Edema, poor appetite, tympanitis, postpartum abdominal pain.